If you’re like me, you usually carry a neutral color purse. But summer is almost here and there’s nothing more fun than a burst of color! Revive your wardrobe and senses with this pretty pink Coach purse. Together with my blogger friends we’re giving you a chance to win an awesome Coach purse. We all need that one awesome bag and this pink Coach purse is the perfect accessory to hold your essentials and add a splash of color to your outfit! 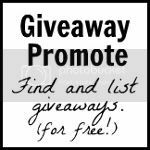 Giveaway is open to US only and runs from 5/20/16 until 6/10/16 11:59pm EST. There are several books I would like to read this summer. I’m gardening and helping with my daughter’s wedding the end of June. We might take a short vacation too. We have family reunions to go to. We are going to the beach for a few days. My summer plans are going to a family reunion. I plan on spending some extra time sleeping! I just plan to spend more time with my family and get some much needed work done on our home. We will be grilling out a lot this summer. I have no definitely plans this summer. We are planning to see several movies this summer! I plan to hit the beach this summet and a few backyard bbq’s. We have lots of plans: family reunion, pool parties, BBQ’s; beach days and camping. We don’t have any major plans this summer. I’m sure I’ll hit the beach and the pool at least a few times. We plan to spend a lot of time relaxing in the backyard this summer. The whole family is going to Branson at the end of June and them my son has football practice the rest of the summer. I guess I am boring. Everybody has great plans. I do not have any except for working. We are planning on enjoying a lot of frozen yogurt this summer! Not so fun but needed..lots of dr appts scheduled. Blah. My summer plans are to visit the beach as often as possible and enjoy the beautiful Florida sunshine. We have a trip to Disney for the family, a trip to Vegas for the grownups, and we’ll be visiting colleges with my son. We are planning on eating lots of popsicles this summer! I plan to spend some time relaxing in the backyard this summer! Since we live at the beach..lots to f beach days! I do not have any summer plans. I’m planning to spend a lot of time with my kids this summer! Hopefully we will be in the cool Carolina mountains for the Fourth of July! I have no plans this summer. I’m gardening and will maybe take a small vacation this summer. I wish I had summer plans, but no plans as of yet. I plan to do some reading and drink plenty of iced coffee! I absolutely love the size, color and shoulder strap option. Beautiful design. I have no summer plans. Pretty sad, huh? I don’t have any particular summer plans, but my daughter and grandson will be going to Boy Scout camp in about a week. We are planning on spending a lot of time at the pool! I plan on discovering new blogs this summer. I plan on gardening and enjoying the nicer weather. My daughter is getting married the end of June. I might take a short vacation after that. My summer plans are to sell our current house and buy another one. Other than that, I plan to work with my kids to help them learn to swim and spend time with them at the beach! I’m going to North Carolina to visit family. I’ll be working most of the summer, but we will have a week’s beach vacation. Much of the Summ weekend will be working on my folks house. I am ashamed to say that I don’t have many. Do lots of work on my ebay business, I guess. We also plan to attend mini lobster opening season in the keys! Yum and fun! I’m visiting my nephew in North Carolina. I’m planning on our annual family beach trip for the summer! I plan on going to a family reunion this Summer. I’ll be working for most of the summer, but I have a trip to Washington DC planned in early September! I will be going to Disney World and Costa Rica this summer. In August, we plan on going to Newport News and Norfolk, VA. My daughter is in college and she has enrolled in 19 credit hours this summer. No play time for her until her classes are done. Other than that, I’ll be working and going to a number of summer concerts in my hometown. I plan on visiting my nephew and his family in North Carolina. Then at home, I plan on getting everything decluttered and organized! The only plans I have is to move in July. We plan on doing lots of camping. No real plans, just enjoying the warmer weather after a frigid winter. I will be enjoying the outdoors as much as possible. I tried to leave a post at RAG, will not allow server error, but the movie looks really interesting! Just hanging out with the kids!!! Nothing finalized yet except our beach camp trip. Hoping for a week in the blue ridge mountains. Mostly, working on my folks home on weekends. Summer, I would like to go to the beach and read a good book. . This purse is lovely. I am taking a summer vacation to the beach. We will be busy babysitting and driving our grandson to activities this summer! My plan is to go on a trip. Entertaining company from out of state. My family and I are planning a beach vacation! We have a family wedding to attend, a week’s vacay in a mountain cabin, twin nieces being born, and my dad’s 85th birthday celebration this summer. We will be playing golf and for the first time playing on a championship course…in the past we’ve only played on executive (easy) courses. The kids will be going to a couple of camps, and my husband and I are going to get away for a few days together. My summer plans are to enjoy the warm weather, gardening, and whatever comes up to do later on. My summer plans are to go to King’s Island a bunch, have our 4th baby, and hopefully carry this purse! Summer means hanging outside by the pool, whether splashing in the water or sitting under the gazebo reading, blogging and taking photos. I plan on swimming a lot. We are going to meet up with the grandkids in Colorado and bring them back to our house for a week. I can’t wait! The only Summer plans I have is to do nothing everyday. Just sit around, catch up my dvr, eat snacks, relax. I like this color of pink, I have a pair of shoes about this same color.